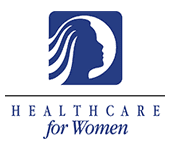 At Healthcare for Women in Oak Park & North Riverside, Dr. Lyndon Taylor has treated many women who suffered from PCOS. 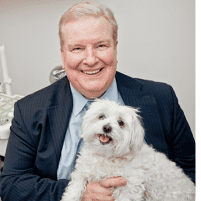 Highly respected by both his patients and peers for his expertise in the field, he is regarded by many as one of the leading PCOS specialists in Chicago, Illinois. PCOS stands for Polycystic Ovary Syndrome, which is a common condition. In PCOS, the ovaries develop many small cysts. These cysts themselves don’t harm the body, but they can make becoming pregnant difficult. If untreated, they also can create hormonal imbalances that can harm the body. The hormonal imbalances caused by untreated PCOS can ultimately cause diabetes and heart disease. The precise cause of PCOS isn’t known, although researchers think genetics may play a role. Once the cysts begin to develop, the hormonal changes they cause can create a chain reaction that resonates throughout the whole body. PCOS is frequently treated through a combination of lifestyle choices and hormone therapy. Maintaining a healthy weight, eating a healthy diet, exercising regularly, and not smoking can all help. Along with these, a doctor may prescribe a hormone treatment therapy in order to bring the body’s hormones back into a proper balance. When behavioral modifications and medications don’t sufficiently treat PCOS, surgery may be required. Laparoscopic ovarian drilling is a minimally invasive surgical procedure that uses lasers to treat affected ovaries and attempts to trigger ovulation.